Washington, D.C. (population 588,292) is situated along the banks of the Potomac River on a site selected by President George Washington as the capital of the United States. In 1791, Major Pierre Charles L’Enfant was hired by Washington to design a plan for the city. L’Enfant’s plan included locations for the Capitol, White House, and many of the city’s parks. Although most known for the federal facilities where the wheels of government turn every day, Washington, D.C. also features diverse neighborhoods that are home to people from all walks of life. The hills of Historic Anacostia provide an unrivaled view of the city, while Georgetown includes some of the city’s oldest buildings. Visitors can view the modest alley dwellings, striking churches, and unique commercial architecture of the Shaw neighborhood or enjoy the rich history of U Street. The DC Neighborhood Heritage Trail Program is coordinated by the non-profit coalition, Cultural Tourism DC. The program currently consists of eight installed neighborhood walking trails, each consisting of approximately 15 signs laid out in a one-mile loop that visitors can walk in about an hour and a half. Each sign features a narrative story and many historic photos of events, people, and scenes from before and during development of the neighborhood. Each trail is interpreted by a free booklet, available through merchants along the trail and the DC Visitor Information Center. The African American Heritage Trail, an ongoing project through Cultural Tourism DC, is a city-wide walking and driving trail that highlights African American historic sites throughout Washington. The trail experience is enhanced by a 56-page guide featuring 98 notable locations in 15 neighborhoods. The project is ongoing, with new sites constantly being added to the inventory and new plaques being installed to highlight notable places. 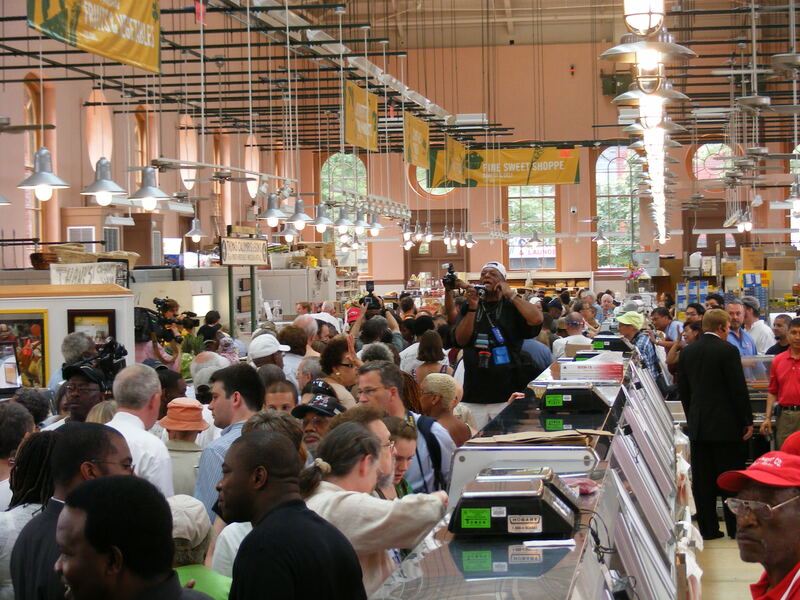 The Cultural Tourism DC Web site maintains a regularly-updated searchable database of sites. Additionally, Washingtonians are able to nominate new sites to the trail online. The Historic Homeowner Grant Program is a financial incentive to help qualified homeowners pay for repairs that restore or rehabilitate their historic houses. The grants are available to low and moderate-income households, for projects up to $25,000. The grant can be used for repair, restoration, or appropriate replacement of exterior features, such as walls, windows, doors, cornices, porches, and roofs. Upon successful completion of a grant, the homeowner enters a covenant with the District of Columbia that requires anything built with the grant remain in place and in good repair for five years. 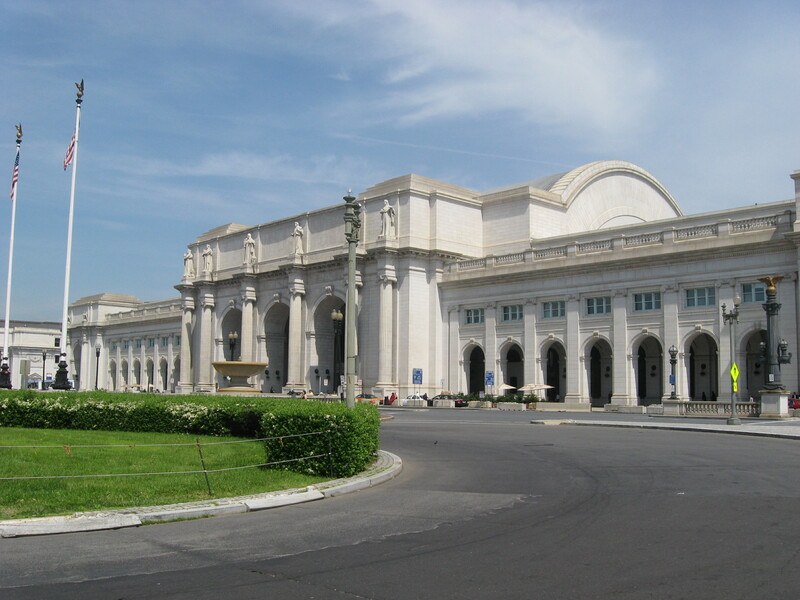 The Washingtoniana Division of the District of Columbia Public Library serves as a rich repository for area professionals and local history enthusiasts. Located within the Martin Luther King, Jr. Memorial Library, the collection consists of more than 25,000 books, 8,000 maps, 2 million photographs, 2,000 postcards, 1,000 linear feet of vertical file material, and 13 million newspaper clippings. Washington is home to several active citizen volunteer groups focused on preserving and improving conditions of heritage assets within the community. The DC Preservation League consists of a small staff and a large contingent of volunteers whose activities include surveying historic resources and preparing and lobbying for landmark designations. The DC Community Heritage Project grants funds for community preservation projects carried out by volunteers. The product-oriented results have yielded brochures, Web sites, tours, and youth engagement in promoting community assets. Many neighborhood civic organizations have established historic preservation or history committees to act as stewards of local resources. Discover Our Shared Heritage Travel Itinerary: Washington, D.C.